DON'T FORGET YOUR LSD OIL! The QUAIFE ATB differential is designed to prevent the complete loss of drive that occurs with a conventional differential when one wheel slips. Whilst requiring some torque in the slipping wheel, the QUAIFE unit is progressive in action but never locks – controlled power is transmitted to all the driving wheels. Ideally suited to high powered front wheel drive systems, QUAIFE ATB differentials are also used in rear and four wheel drive vehicles where optimum traction is required. Installation is identical to the normal differential with bearing pre-loads and pinion mesh being restored to the original manufacturers’ settings. Servicing of the unit is simple as all gear pinions are free fitting and normal final drive lubrication oils are retained. All QUAIFE differentials come with a Life Time Warranty excluding specialised vehicles. No VAT charged! Pay the price you see listed below! KAAZ Power Train Gear Oil works for all transmission/L.S.D. uses. 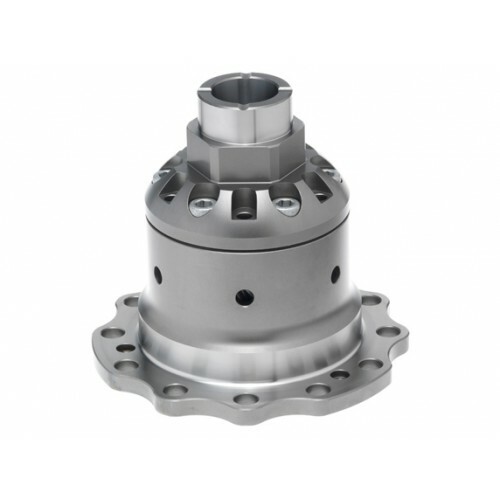 The gear oil can be used on front ..
1.5 Way Basic Type, Position: Rear, Factory Diff: Open..
Quaife ATB Helical LSD differential for Renault Clio Sport 182 is suitable for Renault Clio Sport 18..
> The QUAIFE ATB differential is designed to prevent the complete loss of drive that occur..
> The QUAIFE ATB differential is designed to prevent the complete loss of drive that occurs w.. Copyright © 2019, Limited-Slip, All Rights Reserved.